Nevada Dispensary Association | Developing best practices among Nevada marijuana dispensaries. The NDA’s comprehensive online courses cover significant areas of interest for agents and managers in Nevada. 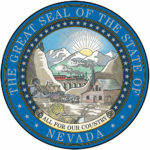 Trainees will learn about the background of medical marijuana legalization in Nevada as well as its federal status; proper use of security measures and controls; how to respond to an emergency, should one arise; methods for consumption as well as consumer education on consumption; public access and agent access to as well as storage of medical marijuana; and more. Packaging and labeling are important to protect consumer safety and ensure that all product is tracked correctly. In this course, trainees will learn about labeling at cultivation, production and retail; packaging design and materials; deficiencies; maintenance; and more. In Security Management training, you’ll learn the State requirements to protect product, money, personnel, and customers in order to ensure the security of everyone and the marijuana establishment. The training also covers procedures to mitigate areas of security weakness and recommendations on handling emergency situations. Learn about the regulations surrounding the marketing and advertising of marijuana in Nevada.  The course covers prohibited content, required content, all media requirements, rules for logos and names, the submission process, deficiencies, ordinances, and more. Trainees will learn the rules around entering a marijuana establishment, accessing certain areas of the establishment, and the rules relating to registration agent cards. Preventing entry by persons under 21 years of age is a critical responsibility for every establishment. Once persons have entered an establishment, there are important rules about which areas they can access. Finally, this course covers who is required to obtain a registration agent card, how to obtain that card, and how to renew or replace that card. Amanda Connor’s boutique law practice, Connor & Connor PLLC, focuses on cannabis law, business formation, litigation, personal injury, and business law, as well as providing valuable legal advice regarding medical marijuana laws. Amanda is licensed to practice in Nevada and New Mexico. 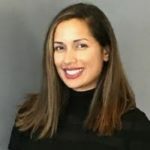 Riana Durrett serves as the Nevada Dispensary Association’s Executive Director, coordinating the NDA’s legislative and policy agendas and performing community outreach. Riana responsible for researching and responding to various issues that affect marijuana dispensaries in Nevada. Danielle Tarmu has been practicing law at Southern Nevada’s top firms since 2009. She has made a name working in general liability defense as well as representing plaintiffs in cases involving catastrophic personal injury, wrongful death, product liability, medical malpractice, insurance bad faith, and unfair claims practices. Danielle is a talented litigation strategist and is known for her exceptional legal writing skill. In an effort to provide the most up-to-date compliance information to our students, the Nevada Dispensary Association works closely with the Marijuana Enforcement Division for the Nevada Department of Taxation. The Department, when available, provides agents to our training program to help explain new regulations as they are released and provide examples of good practice and how to execute new compliance initiatives. 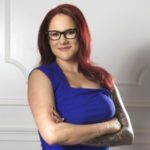 Jessica Velazquez is a founding partner of K&H Consulting, a licensed Las Vegas based financial services firm committed to providing sound and practical accounting, tax, and advisory services to the cannabis industry. She is the firm’s main authority in tax matters for corporations, partnerships, individuals and representing clients before the IRS. Krystal Saab is the General Counsel and Chief Legal Officer at Æther Gardens. In this role, she oversees legal operations for all U.S. entities. Most recently, Krystal worked in-house in the casino industry directing AML Compliance. She has served as the BSA Officer and Director of AML Compliance at The Cosmopolitan of Las Vegas as well as working at The Sands Corp. and The Venetian | The Palazzo as an attorney focused on AML Compliance. She started her legal career as a litigator in Southern California and then Las Vegas, Nevada. 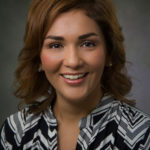 Jo Piña is a certified safety professional and an expert in OSHA standards that include Powered Industrial Trucks, Hazard Communication, Lockout/Tagout, and Bloodborne Pathogens. In addition to her Bachelor of Science and City Planning Masters, Jo holds a Certificate in Occupational Safety and Health from the University of California, Irvine. She is OSHA 30 hour certified and is a member of the American Society of Safety Professionals. Dr. Andrea Small-Howard is the Chief Science Officer and member of the Board of Directors at GB Sciences, Inc. Dr. Small-Howard has more than 15 years of experience studying cannabinoids and the endocannabinoid system, immunology and cancer treatments; as well as executive experience in the biopharmaceutical industry where she supervised research and development, manufacturing and quality control divisions. 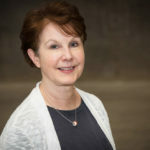 Meredith Patterson is a registered nurse with more than 25 years of nursing experience. 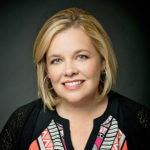 She has authored numerous presentations and continuing education classes for nursing professionals and is a frequent presenter for community and professional audiences including the University of Texas Health Science Center, Scott and White Hospital, Texas State University and the Texas Culture Change Coalition annual conference. She writes a blog, “Diary of a Budding Cannabis Nurse” for the GB Sciences website. We’re committed to keeping your information safe. We’ll never share your email with a third party and we’ll only be in touch with updates and information about the Nevada Dispensary Association and its activities, including education options.